In Davangere, protesters disrupted the bus services, staged demonstration and burnt the effigy of the prime minister to vent their anger against the central government's workers policies. Karnataka State Road Transport Corporation (KSRTC) buses remained stationed in their respective depots across the state as protesters damaged the vehicles. Train services in Eastern Railway zone were disrupted after supporters of the two-day nationwide strike resorted to blockades at many places. An Eastern Railway spokesman said that a suspected bomb was found on the railway tracks at Ashoknagar in​ Sealdah-Bongaon section that led to suspension of train services in the route. However, the suspected country-made bomb, was promptly removed by the civil authorities and train services resumed in the section at 10.25 am, the spokesman said. Banana leaves thrown on overhead wires at different places in the Sealdah South section led to disruption in train services in Sealdah-Diamond Harbour, Sealdah-Lakshmikantapur and Sealdah-Namkhana routes from 5.20 am. A large number of people took out a protest rally in Karnataka’s Madikeri. The rally was organised by Kodagu Kriya Samiti in which more than 1,500 people, including men and women took part. Traffic congestion near Bengaluru’s town hall was reported as hundreds of protesters gathered in front of the municipal building. The city, otherwise, remained largely unaffected as the state run KSRTC buses made up for the BMTC buses staying off roads. Only 13 percent of BMTC buses (428 out of 3226 service) are operational today. Yesterday, on the first-day of the strike 36% of the buses were plying, News18 reported. The main opposition party in Bihar, Lalu Prasad Yadav's Rashtriya Janta Dal, has extended its support to Bharat Bandh. RJD state chief Ramchandra Purve announced it in Patna. Earlier, erstwhile BJP ally and now a supporter of Mahagathbandhan, Hindustani Awam Morcha chief Jitan Ram Manjhi also extended his support to the bandh. Buses were attacked in more than 25 places when protesters hurled stones at them in places like Magadi Road, Vittal Mallya Road, Mysore Road and Mudalpalya in Bengaluru. As soon as the buses were attacked, BMTC asked drivers to get back to bus depots and stop working. Buses that were on the road asked the passengers to get down in the middle of the road and are getting back to bus depots. One bus was attacked in Nelamangala and stones were thrown at two buses in Dasanpura. Around a hundred picketers including members of various trade unions and left party cadres have been arrested in Silchar. Partial impact of bandh in the district. Bank service is shut but other services like rail and road transport are regular. Shops and markets are almost open here. 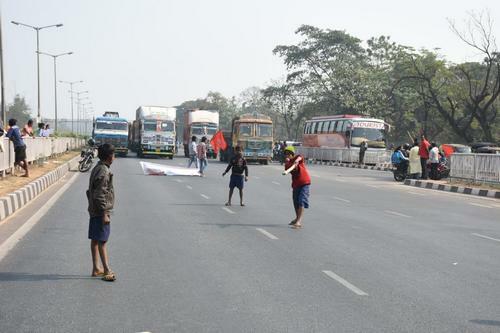 Kids playing on National Highway which whore a deserted look due to the ongoing Bharat Bandh, in Bhubaneswar. Like yesterday, today also no public transport vehicle is playing in the city. All educational institutions have been closed in Khurda district, under which Bhubaneswar city falls. All the government buses in Karnataka’s Gadag district have been completely stopped after the bus drivers’ association decided not to work on the second day of Bharat Bandh. CPI leader Doulat Kuri said they will stop the buses if they start working again. Discussions are underway between police and government transportation associations but due to this sudden decision, students are struggling without transportation to go to schools and colleges. Students who came from different villages are struggling to get back to their homes and are now stranded. Normal life was affected in Goa on Wednesday as private buses and tourist taxis remained off roads in response to the two-day nationwide strike called by trade unions to protest the alleged anti-people policies of the central government. Long queues of passengers were seen at various bus stands after the private buses association in the state did not operate its services. To mitigate the woes of passengers, the state-run​ Kadamba Transport Corporation was operating 800 additional bus services, a senior official of the corporation said. On Western Railway suburban section in Mumbai, 12 extra services will be run today due to BEST strike. On the Central line. additional services include: Main line - Thane departure at 13.44 hours and CSMT arrival 14.40 hours, CSMT departure at 14.49 hours and Kalyan arrival at 16.15 hours; Harbour line: Vashi departure at 13.44 hours and CSMT arrival 14.32 hours, CSMT departure at 14.45 hours and Panvel arrival 16.05 hours. Members of the striking trade unions vandalised the treasury branch of State Bank of India near the Kerala secretariat at Thiruvananthapuram. The protestors barged into the bank’s office, evicted employees and smashed the computers and other equipment in the office when the bank employees refused to close the branch, which had functioned on Tuesday without any troubles. This follows incident of police firing on Tuesday in which six persons, including five tribal youths, protesting against the Citizenship (Amendment) Bill, 2016 and a security personnel were injured. Five country made crude bombs were recovered on Bongaon-Sealdah railway line near Habra station. Following this, the train movement has been disrupted. and the local police and bomb squad are inspecting the spot. The workers participating in the strike will go on a protest march from Mandi House to Parliament Wednesday at noon, and similarly protests would be seen in other parts of the country as well. The trade organizations’ call to defy shutdown strikes has started yielding results with more and more traders coming forward to open shops and business establishments. Reports reaching from various districts said that a large number of shops were opened in both urban and rural areas on the second day of the 48-hour strike. Shops in the main business centres in Kochi were opened with posters saying “It is our livelihood, allow us to trade” on the shop windows. Several restaurants and medical shops were opened at Manjeri where the trade union workers had clashed with the traders on the first day of the strike on Tuesday. Shops are opened at Kozhikode while Chala the main market in Thiruvananthapuram is shut down. Attendance in banks and insurance offices are below normal. Private vehicles ply while trucks stay off the road bringing cargo movement to a halt. An ordinance curbing the destruction of private property in the name of protests has come into force in Kerala on Wednesday. Governor P Sathasivam has promulgated the Kerala Prevention of Damage to Private Property and Payment of Compensation Ordinance, 2019, aimed at providing protection to private property from violence that erupts during protests such as hartals, bandhs, demonstrations, communal violence and road blockade. The ordinance is similar to the Central Act which provides for penal action against destruction of public property. The present ordinance provides for imprisonment up to five years and a fine to those who cause loss to private property. Those arrested in connection with the breach of law will be granted bail only after furnishing a bank guarantee or cash amounting to 50 percent of the damage. The Kerala Vyapari Vyavasayi Epokapana Samithi, the largest traders’ body in the state, has pressed into service a blue volunteer force, to provide protection to traders who open shops and business establishments during shut down strikes. The volunteers have been deployed in major centres under the leadership of the KVVES youth wing. The traders’ body president T Nasurdeen said that the volunteers had helped traders in Kozhikode, Ernakulam, Thiruvananthapuram and some other districts to open the shops on the first day of the strike. The volunteers will be deployed in more areas on the second day on the second day on Wednesday. CPM leader Sujan Chakraborty, along with other protestors detained by police while they were participating in the two-day nationwide strike called by Central Trade Unions demanding minimum wages and social security schemes among others. Buses operating from Kanyakumari district to Kerala were halted for the second day in Kaliyakavillai in Tamil Nadu at Kerala border. Heavy police deployment has been ensured at the sensitive jadavpur 8B bus stop after CPM workers created a huge ruckus here yesterday. The bandh supporters vandalised vehicles, held rallies and blocked the traffic on roads on Tuesday. 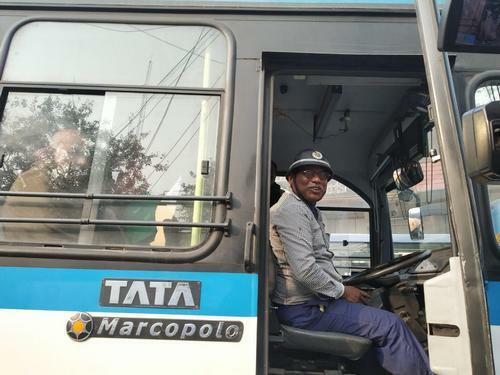 The West Bengal government has directed bus drivers to wear helmet while driving, in view of nationwide strike called by Central Trade Unions. 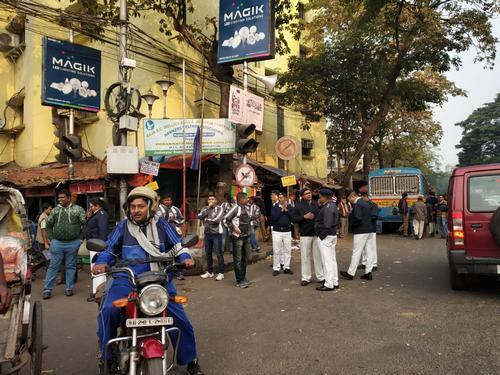 The move comes as Trinamool Congress vowed not to let the bandh take effect in West Bengal, following which CPM supporters who were backing the shutdown clashed with TMC workers at several places. In spite of Tamil Nadu government's stern warning, over 8 lakh state government employees from various departments are participating in the protest today as well. Over 3 lakh teachers and over 1.5 lakh central government employees are also taking part in protests in Tamil Nadu. Venkatachalam from All India Bank employees association said, "In Tamil Nadu 40,000 bank employees working in 10,000 branches participated in the strike called by trade unions. Apart from State Bank and Indian Overseas Bank, HDFC and ICICI rest all banks including co-operative and Reserve Bank employees are also participating in the strike. 6,000 crores cheque transactions have been affected in the first day and the strike continues today also. " The bandh called by workers groups and various traders' unions enters day two today. Reports have already started filtering in that protesters are stopping buses and trains to enforce the bandh. All India Trade Union Congress spokesperson said that yesterday, as many as five states of Assam, Kerala, Manipur, Meghalaya, Odisha, and the union territory of Puducherry witnessed complete bandh while other states like Karnataka, Delhi, Goa, West Bengal reported 100 per cent strike by workers. As the Lok Sabha passed the contentious Citizenship (Amendment) Bill, 2019, in the Lok Sabha, despite widespread protests in Assam and other parts of North East India, the civil society organisations in Assam are bracing up for the second phase of agitation against the Bill in the form of an economic blockade. Seventy civil society organisations have already declared indefinite economic blockade restricting movement of commodities from Assam to other parts of India. SwaTrade unions went on protest in 11 places in Kanniyakumari district including road roko. Thousands who were involved in the incidents were arrested and were taken into custody in a private marriage hall. In Salem, thousands of protesters were arrested after they walked from old Salem bus stop to the head post office and raised slogans against the ruling government. In Pondicherry the 300 government employees, who tried to lay siege the secretariat, were arrested. Another group which was protesting in front of the Pondicherry post office was also arrested. Normal life was badly hit in Pondicherry as buses autos and share autos were not on road. Many schools and educational institutions were shut. In Chennai, protest took place in Guindy, Tambaram and Pallavaram stations as the protesters tried to disrupt rail routes. They were later arrested. CITU member Soundarrajan said "if our demands are not heard then we will sit on a vigorous strike. So I urge the government to look into our needs". Due to Bharat Bandh, few people are showing their anger by throwing stones on the buses. Five buses on the way to Bengaluru from Magadi were damaged in the stone pelting incident in Tavarekere area of Ramanagara district. Bus services in Magadi have been temporarily suspended that has put people in a tough situation. At 9 am, 84 percent of Karnataka State Road Transport Corporation's buses were on the road as compared to yesterday, when only half the number of buses were seen plying . According to the reports, public transport and banking services remain disrupted for the second day in some states. Government offices, IT sector and port activities were normal, while banking sector experienced partial impact with some branches and ATMs closed in most parts of nation. The 10 central trade unions (CTUs) which have given a call for the two-day Bharat Bandh are protesting the government's snub of their 12-point charter of demands seeking minimum wage of Rs 18,000, social security for all workers and issue related to price rise. All India Trade Union Congress General Secretary Amarjeet Kaur told PTI that there will be a complete bandh in Goa and Bihar, while 100 per cent strike is expected in other parts of the country too. Train services from Ernakulam in Kerala were disrupted following blocking of trains by trade union workers at Ernakulam North and Kalamaserry stations. The striking workers have also gathered at Aluva station to block trains. Meanwhile, the Railway Protection Force has registered cases against more than 200 people in connection with the blocking of trains in various parts of the state on the first day of the nation-wide strike. For second day in a row, bus services remain severely affected in Hassan, Karnataka. However, private buses continue to ply and establishments remain open. A state run bun in West Bengal's Howrah was attacked by protesters. Heavy stone pelting was reported. Two people have been injured in the incident. Apart from this, clashes between Left party cadres and TMC workers were reported from the Bandel area in the city. The police has managed to get the situation under control. Trade union workers continued to disrupt rail services in Kerala on the second day of the 48-hour general strike. A group of activists blocked the Venad Express and Sabari Express at Trivandrum Central Railway Station for nearly one hour resulting in in delayed running of several trains. The trains resumed service after police arrested and removed the protestors. The blockade of trains may affect functioning of businesses and offices as the other modes of public transport, including taxis and auto rickshas are off the roads. 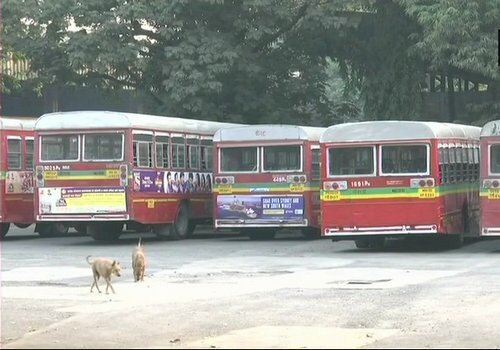 The strike by over 32,000 employees of Mumbai's civic transport undertaking continued Wednesday in support of various demands, including higher salaries.The indefinite strike shows no sign of wearing off as talks between the undertaking's management and striking workers failed, even as a Shiv Sena-affiliated union in the transport body Tuesday said its members had withdrawn from the stir. The state government quickly moved to invoke the Maharashtra Essential Services Maintenance Act (MESMA) against the striking employees of the Brihanmumbai Electricity Supply and Transport (BEST), while its management asked them to end the stir and come to the negotiating table. Train services on the Sealdah Lakshmikantapur Namkhana and Diamond Harbour sections are affected as the bandh supporters have thrown banana leaves on the overhead wire at various places early in the morning. Tower vans have already been despatched to remove the banana leaves from the over head wire to restore normal services. Meanwhile, train services on the Howrah division of Eastern Railway remained normal and no adverse report has been received from Asansol and Malda, which saw clashes between ruling TMC and CPM. Bharat Bandh day 2 Latest updates: The workers participating in the strike will go on a protest march from Mandi House to Parliament Wednesday at noon, and similarly protests would be seen in other parts of the country as well. 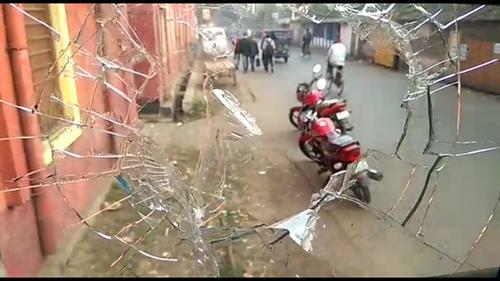 Two students were injured after protesters pelted stones at a bus at Shanpur Mor on Jhikira-Howrah route. Assamese protesters are enforcing an economic blockade against citizenship Bill, whereas trade unions and workers are enforcing a bandh in rest of India against the alleged anti-labour policies of the government. Tuesday saw a Bharatiya Janata Party (BJP) spokesperson quitting the party, moments after the bill was passed in the Lower House of Parliament, a former chief minister demanding the resignation of the BJP-led Assam government and a state minister describing the Asom Gana Parishad's (AGP) withdrawal from the government as a "historic blunder". The protesters brought life to a standstill and vented their ire at the ruling BJP by gheraoing the houses of Chief Minister Sarbananda Sonowal, Power Minister Tapan Kumar Gogoi and attempting to attack the saffron party's offices in different parts of Assam during the 11-hour "bandh" called by the All Assam Students' Union (AASU). The protesters stormed the chief minister's personal house in Dibrugarh and that of Gogoi's in Sonari during the bandh, which started at 5 am and ended at 4 pm, the police said. 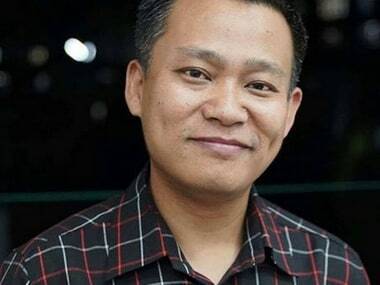 Moments after the Citizenship (Amendment) Bill was passed in the Lok Sabha, BJP spokesperson Mehdi Alam Bora resigned from the party, saying the bill would harm the Assamese society and nullify the Assam Accord. The issue brought the National Democratic Alliance (NDA) allies — the BJP and the AGP — face-to-face. Former Assam chief minister and AGP leader Prafulla Kumar Mahanta demanded that the BJP government in the state resign and face a fresh election as the saffron party's pre-poll alliance with his party was snapped on Monday. "The BJP-led government was formed in Assam on the basis of a pre-poll alliance with the AGP. As this alliance no longer exists, we demand that the government be dissolved," he said. 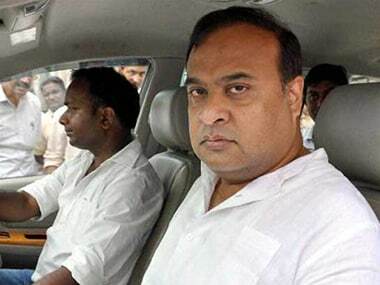 State minister Himanta Biswa Sarma said the the AGP had committed a "historic blunder" by not extending support to the Citizenship Amendment Bill. Mahanta had committed the first blunder by signing the Assam Accord when he was the chief minister and his party made the second "historic blunder" by not extending support to the bill, Sarma, who holds the Finance and Health portfolios, said. 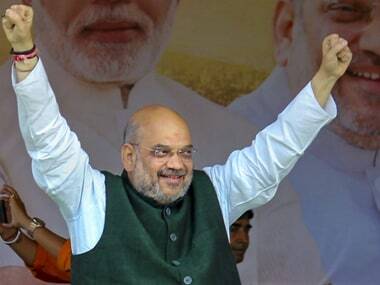 "I am proud of being an Assamese and the BJP is committed to protecting the interest of the indigenous population," the leader, who is regarded as the saffron party's face in the north-east, told reporters here. "We have to do it on the basis of religion. On the basis of what else can we stop illegal immigration? It is well known that our land has been taken by Muslim migrants and now, we cannot allow anymore encroachment of our assets like the 'sattra' (monasteries) and Kaziranga. "We are grateful to Prime Minister Narendra Modi for the bill and saving 18 Assembly seats in Assam from going into the hands of 'Jinnah' or the AIUDF's (All India United Democratic Front) Badruddin Ajmal," he said. Assam BJP chief Ranjeet Kumar Dass claimed that the AGP leaving the NDA did not matter as the alliance would still get 11 of the 14 seats in the state in the upcoming Lok Sabha polls. The AGP accused Sonowal of not "cooperating" on the bill and not giving due respect to the emotion and interests of the Assamese people. The three AGP ministers -- Atul Bora (agriculture), Keshab Mahanta (water resources) and Phanibhushan Choudhury (food and civil supplies) will tender their resignation and complete the other related formalities on Wednesday. 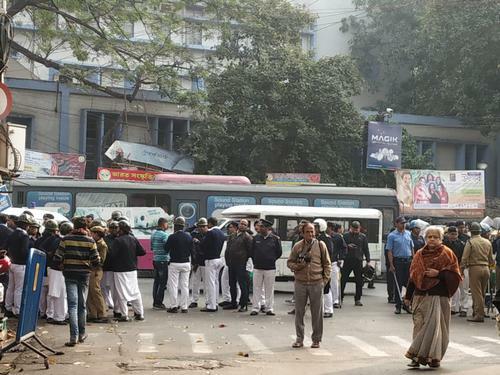 The "bandh" was by and large peaceful with the police resorting to mild lathicharge to disperse the protesters at some places, Director General of Police Kuladhar Saikia said. There were attempts to attack BJP offices in Dibrugarh, Lakhimpur and Golaghat, but those were foiled by the security forces. Actor Naseeruddin Shah was among a host of air passengers stranded for hours at airports due to the non-availability of public transport. Normal life came to a halt in the Brahmaputra valley and was partially hit in the Bengali-majority Barak valley, following a "north-east bandh" called separately by the North East Students' Organisation (NESO) and supported by over 100 organisations to protest against the Citizenship (Amendment) Bill, 2016. The agitators blocked roads and national highways at various places, while picketers squatted on the railway tracks at various places in Guwahati and Dibrugarh district, but the movement of trains, including the Delhi-bound Rajdhani Express and the Kolkata-bound Kamrup Express, continued after the GRP removed them from the tracks, railway sources said. There was no movement of vehicles, including goods-laden trucks, on national highways, following an economic blockade called by the Krishak Mukti Sangram Samiti (KMSS), sources said. 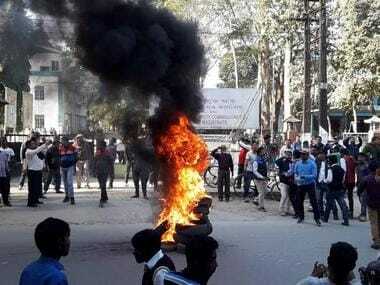 The 11-hour bandh called by the NESO was enforced by its member organisations, including the AASU, the Mizo Zirlai Pawal (MZP), the All Arunachal Pradesh Students' Union (AAPSU), the Khasi Students' Union (KSU), the Garo Students' Union (GSU), the Naga Students' Federation (NSF), the All Manipur Students' Union (AMSU) and the Twipra Students' Federation (TSF). In Tripura, seven persons -- a Tripura State Rifles personnel and six TSF activists -- were injured at Madhabbari in West Tripura district, when the police and paramilitary personnel resorted to lathicharge and opened fire to disperse a group of students who had blocked the Assam-Agartala national highway. The "bandh" also hit normal life in Arunachal Pradesh, Mizoram and Nagaland.